The Ellerman Hall Line's CITY OF CAIRO began her life in one war, and ended it in another as one of the group's most tragic losses. Built by Earle's Shipbuilding and Engineering Co. Ltd, Hull, England in 1915 the CITY OF CAIRO had two decks two masts and a burden of 8,034 tons, and was 450 feet long. She was sailing under the management and colours of the Hall Line under requisition. 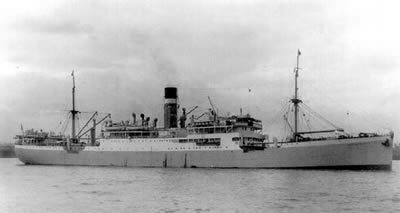 The ss CITY OF CAIRO had sailed independently on 1st Oct 1942 on a voyage from Bombay, Durban and Cape Town to the UK via Pernambuco (now called Recife) in Brazil, with a cargo of pig iron, timber and wool. Just before sailing, a consignment of silver bullion was also placed on board. The complement of 302 included 101 fare-paying passengers, of which 28 were women and 19 were children and 10 D.E.M.S. (Defensively Equipped Merchant Ships) gunners from the Army and Royal Navy. Among the total compliment were two spare Lascar crews recruited in India for service on UK ships. She sailed from Cape Town at 06:00 on Sunday 1st November 1942. The Master, Captain William Rogerson a 46-year-old Liverpudlian was ordered to steer a mean northerly course parallel with the African coast for 800 miles, zig-zagging during the day and keeping about 45 miles out. At latitude 23.30 South, he was to turn due West, straight out into the South Atlantic. Not until he was in mid Atlantic would he turn northwest for Recife. On Friday 6th November 1942 at 20:26 the ship, in position 23°30S 05°30W, was struck by a torpedo abreast of the after-mast. The torpedo was fired by U-68, Karl-Friedrich Merten. Passengers and crew alike made for their boat stations, momentarily losing their bearings as the lights dipped, flickered and went out. The ship, still underway, had stabilised but she was slowly settling by the stern. Captain Rogerson issued the following order: "Prepare to abandon ship! Lower the boats!" On watch at this time, in the wireless office, was Second Radio Officer Tom Humphries. He sent out a distress call which was quickly acknowledged by the U-boat giving the callsign of the Walvis Bay station in South Africa. 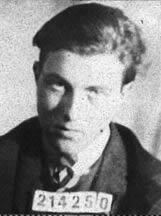 Chief Radio Officer Harry Peever took over in the wireless office and was still aboard when the second torpedo hit. He was one of the six people killed in the initial attack. The boats were lowered and attempted to move away from the ship. 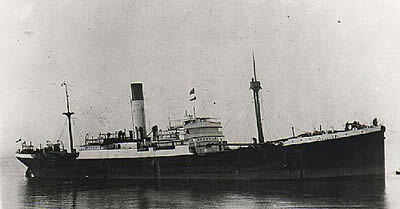 After about twenty minutes Merten loosed a second torpedo and CITY OF CAIRO sank by the stern. The submarine surfaced and, speaking to the occupants of No.6 boat, asked the ship's name, cargo and whether it was carrying prisoners of war, he then gave a course for the nearest land approximately 2000 miles from Brazil, 1000 miles from Africa and 500 miles from St Helena. Kapitän Merten then uttered the now famous phrase: "Goodnight, and sorry for sinking you" and departed the scene. 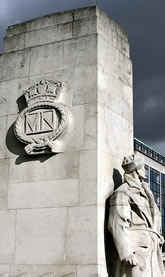 "The merchant seaman never faltered. To him we owe our preservation and our very lives". Minister of War Transport - July 1945. 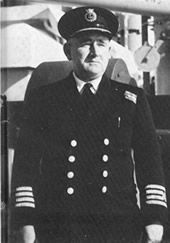 Captain Rogerson, although very unwell, after swallowing a lot of seawater at the sinking, then gathered the boats together to assess the situation. It turned out that six people had perished during the sinking, two crew and four passengers. Rogerson decided their only hope was to try to make it to St Helena 480 miles away. The tiny island in the middle of the South Atlantic would be difficult to navigate to in open boats and there was the distinct possibility of overshooting the island. 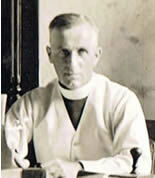 Francis A. Marr DSO. MC. There were 6 open boats containing 296 souls and Rogerson in No.5 boat had to somehow guide them to safety. Each boat had an officer in charge, although boats 6 and 8 had Merchant Navy officers in charge that were not members of the Cairo's crew. All of them were to give good accounts of themselves during the ordeal. All of the boats had a compass but only Second Officer Boundy in No.7 boat had a sextant - he had gone back to his cabin to retrieve it - this, along with Rogerson's Rolex "Oyster" watch meant that they all had to stick together to ensure they were on course for St Helena. The boats were at sea for about a week when the first fragmentation happened. Chief Officer Britt in No.1 boat asked to go on ahead, his boat was short of rations and was taking in water, but he also had the fastest boat. Rogerson, who had wanted to avoid a boat race, initially refused this. The key he said was Boundy's sextant they had to stay together. On Wednesday 11th November, though, Rogerson reluctantly allowed Britt to go on ahead. By this time all occupants of the 6 boats were suffering. There were deaths between Asian and European alike, water was strictly rationed and the food was too dry to eat. Structural damage to the boats also occurred. No.7 boat had no rudder, it was blown away by the explosion of the torpedo, a steering oar was rigged until a jury rudder was fitted. No.8 boat had a cracked mast that was temporarily repaired by the two quartermasters Campbell and McKelvie using an oar as a splint. The remaining boats were also now struggling to stay in touch. On Friday 13th November they lost touch with No.6 boat (George Nutter). Third Officer Whyte in No.4 boat was also struggling to stay in touch. Rogerson now had an agonizing decision to make: to stay and wait for Nutter in No.6 boat or to push on. He felt he could no longer sacrifice the progress of the majority to round up the stragglers. The boat race was on. Friday night of 13th November, boats 4 and 8 were now together having lost touch with the rest. With those two boats progress was very slow the fault lay with No.8 boat and Tommy Green in charge advised Britt in No.4 boat to push on without him. It was 15th November, the second Sunday since the sinking, and Whyte like Brit before him set out on his own. Early in the morning of Thursday 19th November No.6 boat, that was some way behind Rogerson and Boundy in No.5 and 7 boats respectively, sighted a ship on the horizon. This was the ss CLAN ALPINE en route for St Helena. Captain Charles W. Banbury brought his ship alongside to recover the survivors. George Nutter explained to the Master the situation and that there were other boats ahead of him. He had been the first to lose touch and was unaware that there were also two boats behind as well - No.1 boat and No.4 boat. On CLAN ALPINE the Second Officer reported that two more boats were in sight. The time was 08:20 and by 09:00 the ship was alongside No.7 boat. After they were safely aboard it was the turn of No.5 boat. Sadly even at rescue there were deaths of survivors aboard CLAN ALPINE and also in St Helena Hospital after the ship had arrived. Meanwhile boats 1, 4 and 8 were still at sea. No.8 boat, in the charge of Tommy Green, who was a Chief Officer in the British India Steamship Navigation Company, and a master mariner didn't have long to wait. 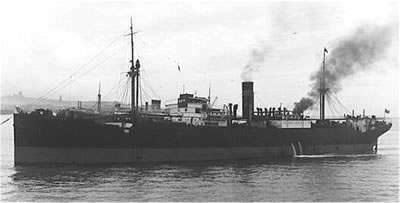 That same evening 19th November they were picked up by the ss BENDORAN an 8,500-ton cargo carrier from the Ben Line under the command of Captain William C. Wilson. Boats 5, 6, 7 and 8 had been at sea for 13 days before rescue. 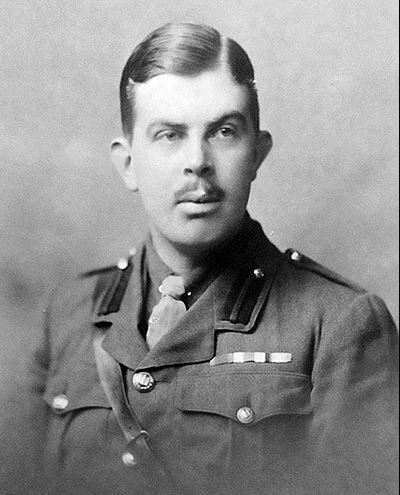 Captain William A. Rogerson was awarded the OBE(Civ) and Les Boundy, James Alister Whyte, George Nutter and Tommy Green were awarded the MBE(Civ). Patrick MacNeil and Margaret Gordon were awarded the BEM(Civ). Chief Officer Sidney Britt (posthumous). Surgeon Dr. Douglas W. Quantrill. I would like to hear from anyone who can make a connection with the CITY OF CAIRO. Photos, stories or tributes would be most welcome. I will try and include all contributions on the site. Every effort has been made to trace the owners of copyright material, and I hope no breach of copyright has occurred. Please contact me at the address below if any infringement has taken place. Pardon is sought and an apology given if the contrary is the case. Any amendments or corrections will be issued at the next update. By the same token this site contains copyright material and, you are respectfully reminded, that any reproduction is both illegal and immoral without the express permission of the copyright holder. All copyright holders, where known, have been recognised in the Acknowledgements section of the site.